Hello! 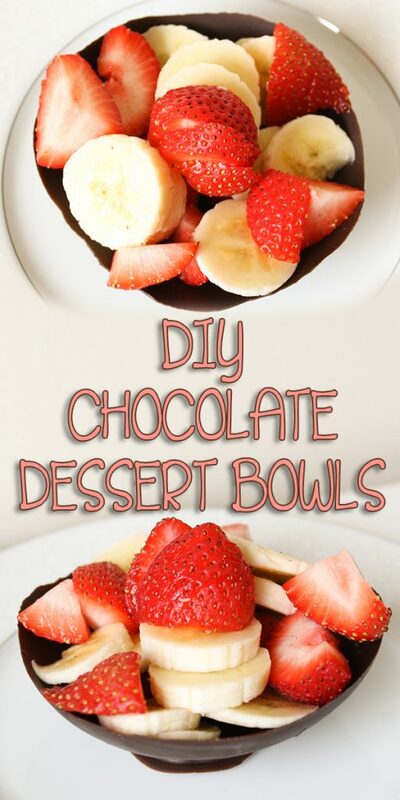 I’m so excited to show you how to make these DIY Chocolate Dessert Bowls today! 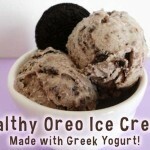 These are so much fun to make and fill with fruit, ice cream, or even pudding! Balloons. Use only standard shiny latex balloons. No pearlized, metallic, or other finishes. Non-stick spray. This is optional, but helpful. TIP: Make way more of these than you need!! They are fragile and it’s always better to have extras than not enough. I accidentally used pearlized white balloons, and they wouldn’t come off of the chocolate, and left the pearl coating on the chocolate. 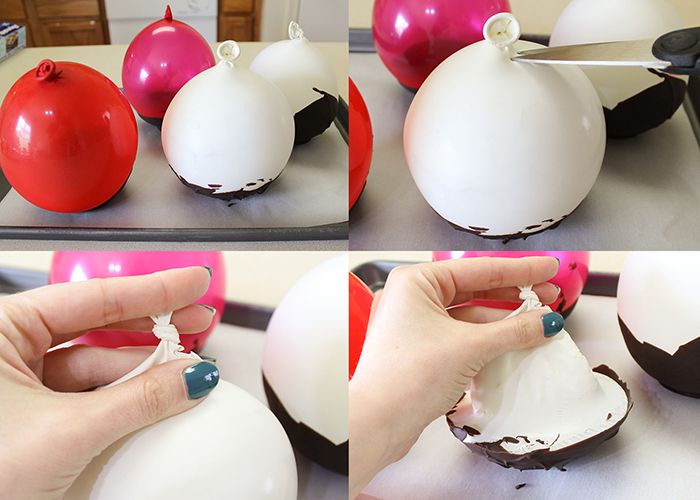 Use plain balloons (like the red ones below) and coat them with a light spray of non-stick coating for the best results! Let’s do some prep work first! Good prep work always makes projects so much easier. 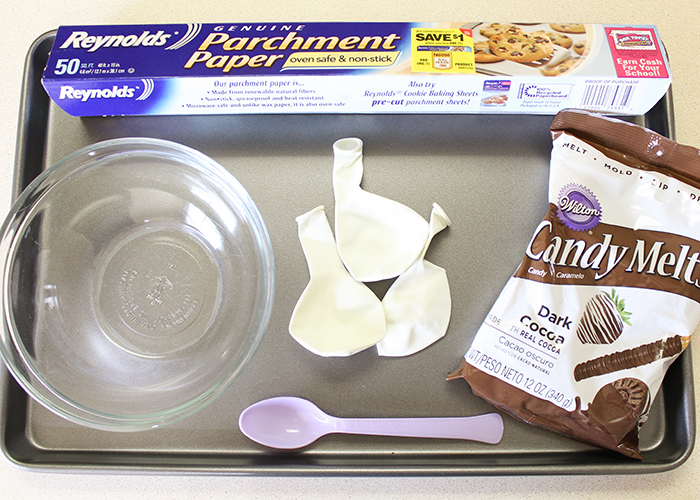 Line your baking sheet with parchment paper and put about half a bag of candy melts into your bowl. Then you need to wash the outside of your balloons. I just used water and a drop of dish soap, then rinsed and dried them well. 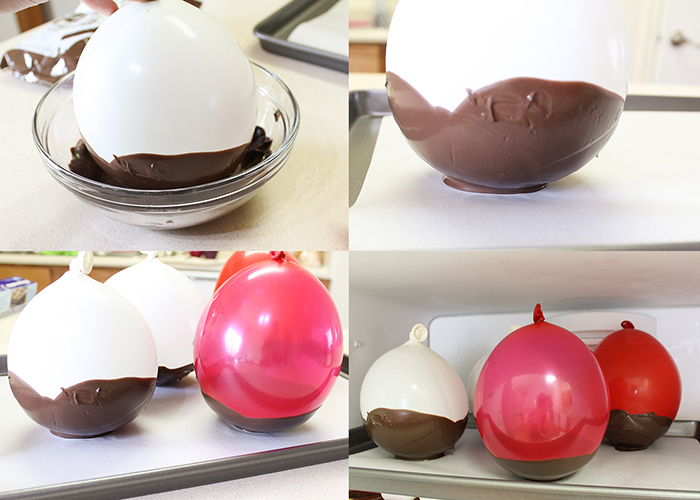 Go ahead and blow up your balloons to the size you want your bowls to be! Now it’s time to melt your chocolate. Microwave it for 30 seconds at a time, stirring in between. Depending on your microwave, this should only take about 1-2 minutes. Don’t make the mistake I did and make sure to spray your balloon with a light coating of nonstick. 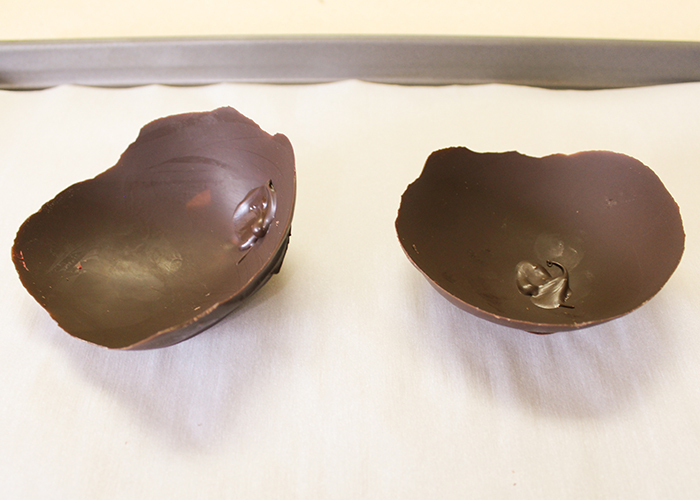 Then dip it in the chocolate, rotating it until the sides and bottom are all coated. 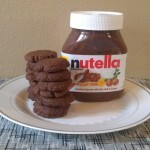 Pull it out and then dip it back in to add an extra layer of chocolate on the bottom. 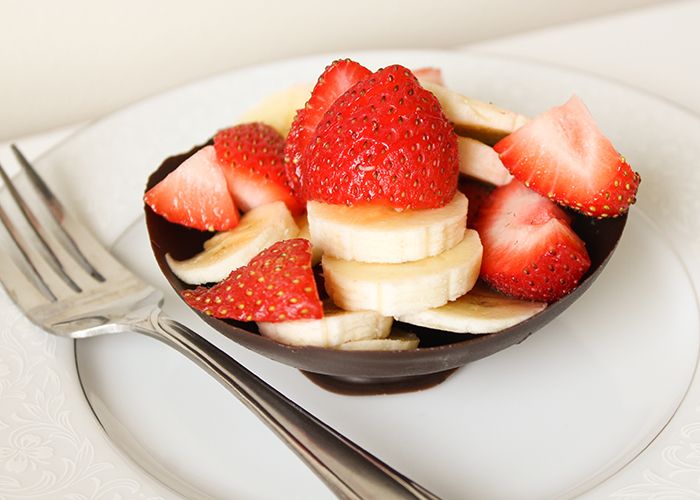 This adds strength and enough extra chocolate to drip down and create a base for your bowl. Set it down on the parchment paper and hold it for a second until the dripping chocolate makes a base and it feels steady. 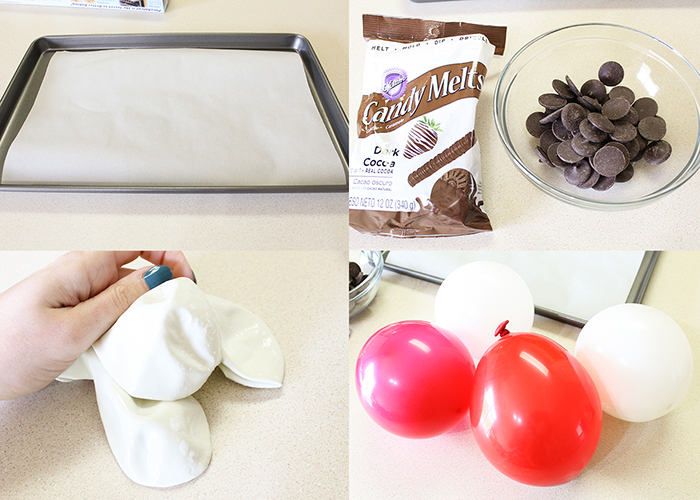 Make enough balloons to fill your baking sheet, and then pop it in the freezer for 15-20 minutes to let the chocolate firm up. When they’re all set, go ahead and take them out of the freezer. 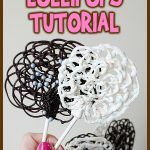 Hold the top of the balloon, and make a small cut with your scissors. You want the balloon to deflate slowly, not pop! 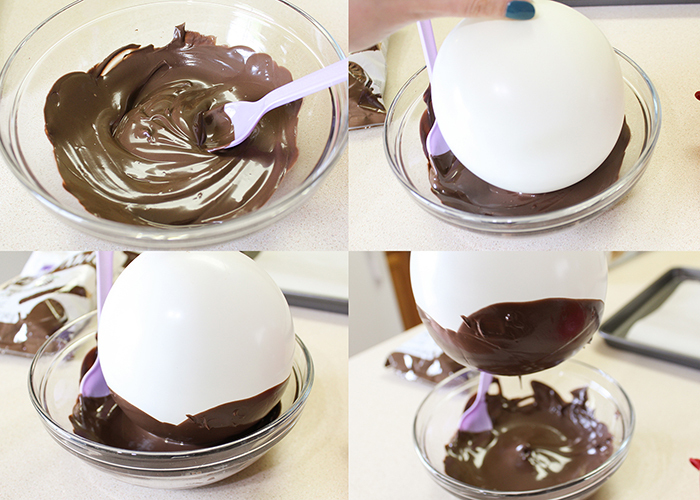 Let the air out of the balloon slowly, and it should start to peel away from the side of the chocolate bowl. Here you can see what happens if you use a coated ballon. 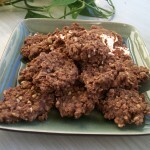 That coating sticks to the chocolate and it’s not edible. Also, the bowl will break. 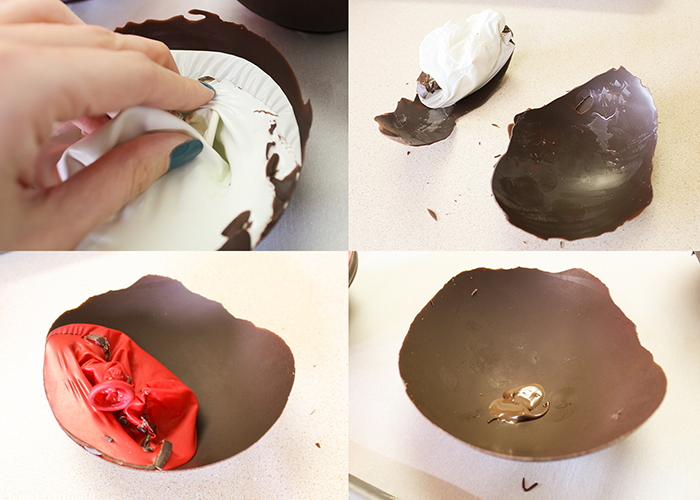 The shiny red balloon bowl did much better, and would have been even easier with nonstick spray. I did have a small hole in this bowl, but those are easily fixed by spooning on some extra melted chocolate, and no one will care that it’s not perfect. Here are the finished bowls! 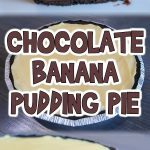 They both needed little patches, but the great thing about chocolate is that it’s easily fixed. And you’re all done! I filled mine with fresh fruit, and it was so yummy. 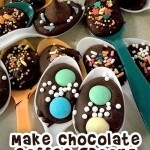 I hope you enjoy making these DIY Chocolate Dessert Bowls!